It is a college student studying business. Business writing and broadcasting, as well as one with a lot of attention so I can attend the school to the station. Many as you want it to do much more than others, but it's hard when you always have positive thinking has been coordinating ordinary. I come to college to study business administration. 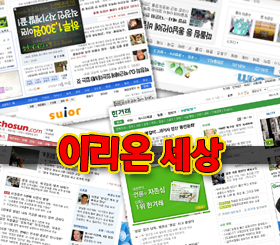 Read the latest business trends in the management of a variety of basic knowledge is to learn Korean and English. As well as the opportunity to communicate with teammates through teamprojects are. Given the large interest in school when you were in school, more academic and cultural life is to enjoy. I edit video and write a script about social issues can cover the news. As well as in front of a lot of people have the courage to promote and have an interview. All the things I learned in school, UBS stations. Many professors and friends at school and can learn how to communicate with each other. People that are happy to get back together. Always energetic and youthful SUHYUN KIM girl. Many people who met in college and has many challenges. Now go to the station and SHOW VARIETY BROADCASTING WRITER is a dream of being. My bright and cheerful energy to peojilttae entire world today is too hard lives. I am very interested in fashion and sports and entertainment have. commercialization of gossips want a job. Colorful and unique fashion and sports, entertainer with information about continuing to try.